HTC U12 Plus is a most awaited and expensive HTC smartphone. Like its follower, HTC U12+ has amazing Squeezable Sides, Pressure Sensitive Button and Edge Sense 2.0 to support more shortcuts and gestures. The device is fabricated with strong metal body which is IP68 certified, and provides dust and water resistance up to 1.5 meters for half an hour. Its premium back side is much polished in such a way that it can be scratched easily. Corning Gorilla Glass 5 covers the front panel to protect touchscreen. It is not completely bezel less but comes with 18:9 aspect ratio to offer you a bigger screen, according to latest trend. Thanks Gosh! There is no notch. HTC U12+ measures 6.0 inches diagonally. It has a Super LCD6 Display which is supported with 1440 x 2880 pixels resolution to deliver you a perfect bright and colorful screen for reading and viewing even under the direct daylight. It is a HDR10 compliant which supports DCI-P3 to entertain you with shows and movies like a cinema theater. 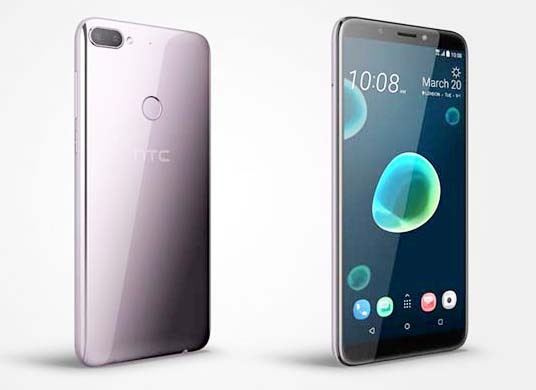 HTC U12+ runs Android OS 8.0 (Oreo) which will be upgraded to next Android. HTC U12+ brings Quad Camera Setup. There are Dual 12MP + 16MP rear cameras to offer excellent photography experience. It can capture splendid still 9MP images during the awesome 4k video recording. It is supported with Dual Pixel PDAF, OIS, 10x hybrid digital zoom, Bokeh mode, Ultra Speed Autofocus 2, HDR Boost 2, OIS, AR stickers, Face Detection, Self timer, Pro mode with manual control, 32-seconds long exposure, geo-tagging and panorama etc. It offers also 360 3D high quality audio recording and 1080p Slow-mo at 240fps. Coming to the front camera, there are Dual 8MP Snappers to capture your best moments. You can make dual video calls with it. The Selfie Camera features Bokeh mode, AR stickers, Face Unlock, HDR boost, Live Make Up, Auto Selfie, Voice Selfie, Selfie Timer and Selfie Panorama etc. It can record FHD videos without compromising with quality.